Bradmore has over 4 miles of footpaths and bridle paths linking to paths in our adjacent parishes of Ruddington, Plumtree and Bunny. If there are any problems with the accessibility and condition of the paths, gates or stiles, please email Roger Colwill (roger.colwill@btinternet.com) , footpath warden Bradmore Parish Council, to let him know. 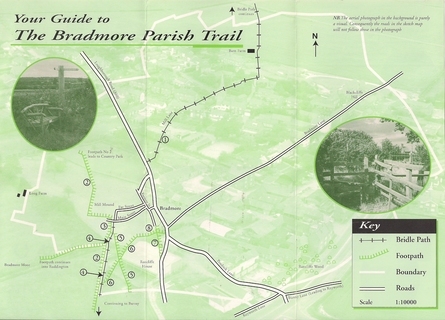 We will gradually add a library of walks from Bradmore here. Any suggestions please email Roger Colwill.